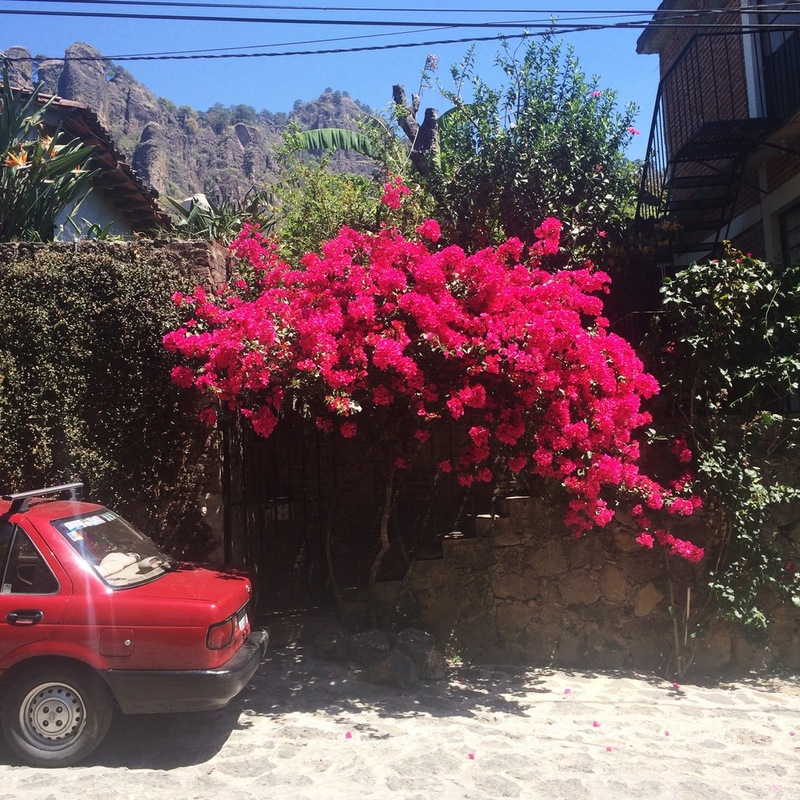 We visited the small town of Tepoztlan, a couple hours drive south of Mexico City. The entire town sits in the cradle of towering mountains. The cobblestoned streets are lined with brightly-colored houses, vigilantly guarded by scrappy dogs. Every which way you turn, you’re greeted with the power and beauty of nature. It is strangely relaxing to be so consistently reminded of your size in the grand scale of things. The first morning, we hiked up the Tepozteco Mountain to see El Tepoztecoa, a small temple dedicated to the Aztec god Tepoztecatl. The hike isn’t too long (about 45 minutes) and just strenuous enough to make the view (see above) feel really worth it. Later in the afternoon, we took a stroll through the market place. The markets here are everything you could ever want them to be. Brimming and bustling. A hive of activity. Young girls lined up in a row, kneading out dough for their tortillas. Weathered women butchering chickens with a chef’s familiarity. Old ladies seated on crates shelling beans and selling cactus. Young children racing through narrow aisles ferrying fruits and vegetables between market stalls. It was loud and hot and filled with the smell of sautéing mushrooms and zucchini flowers. 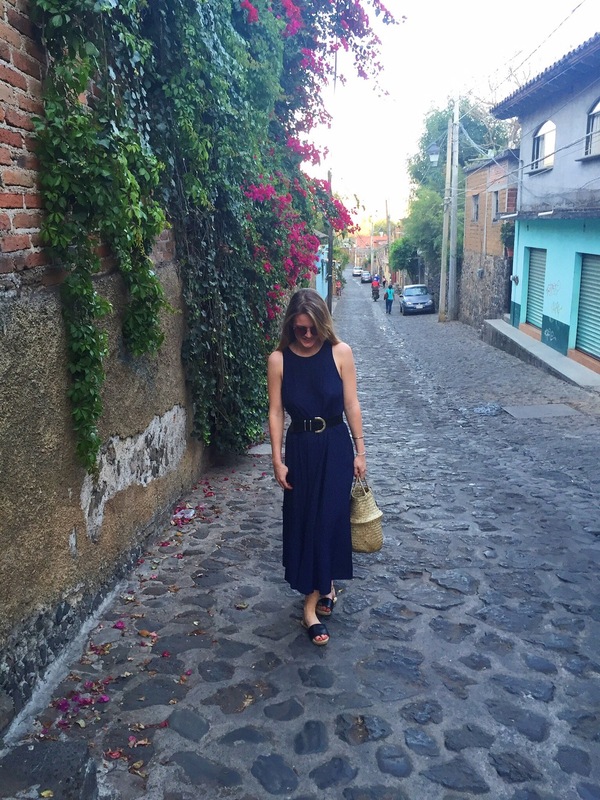 Mostly, I spent the weekend drinking Mezcal, strolling through flower-lined streets, and eating handmade tortillas. It felt so good to truly be on vacation. I travel a lot and a lot of the travel I do is in big cities. I love visiting them; soaking up the culture, enjoying the incredible food, walking the streets for hours on end. But sometimes, these trips can leave me exhausted and ready for a vacation from my vacation! It was so delicious to take a weekend and move slow, enjoying the beauty around me and the people I love. Here’s to more magic in Mexico! Lunch here. The most amazing view + authentic Mexican food. 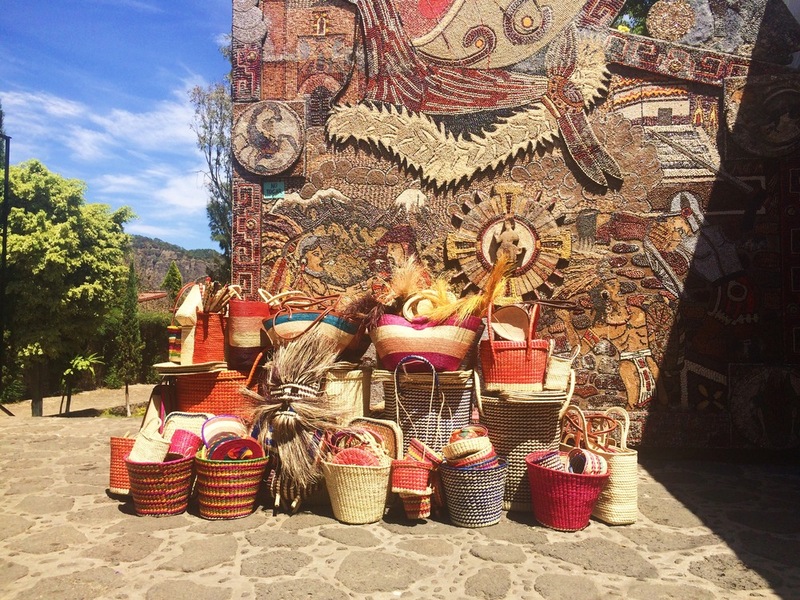 Visit the markets and bring plenty of cash – there’s great food and incredible ingredients but there’s also an entire market dedicated to clothes, crystals, hammocks, hand-weaved baskets, and more. If only my suitcase had been bigger! Hike Tepozteco Mountain early in the morning before it gets too hot. The temple site doesn’t open until 9:00am but it will take a good 45 minutes to get up there. 8:30am is a good start time. Get spiritual. 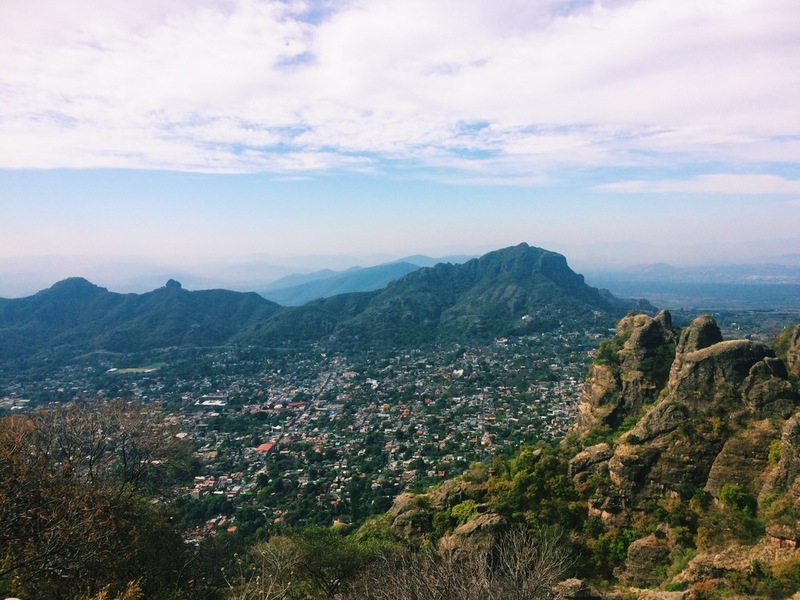 Tepoztlan is a bit of a spiritual hotspot and there’s some seriously healing energy believed to be present. Indulge in a little healing whether it’s going for a massage, picking up a new crystal, or getting your tarot read.